With new integrated NextOS platform, this VoIP, UCaaS provider aims to become 'all-in-one business interaction' company. Cloud-based VoIP and UCaaS provider Nextiva last week gathered customers and partners for its annual conference, NextCon, to share its vision for improving the customer journey and creating great customer experiences. The big news from Nextiva at NextCon was release of the new NextOS platform to a select group of companies. NextOS, as announced a year ago, includes a CRM system, chat, survey capabilities, analytics, and more -- all on a brand-new platform built from the group up. 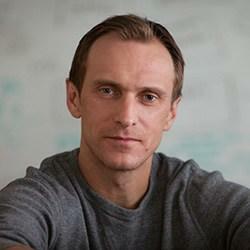 "NextOS is more than a product launch, Nextiva CEO Tomas Gorny told the audience. "It marks our transition from a VoIP company to an all-in-one business interaction company. VoIP is to Nextiva as books were to Amazon in its early days. It's just the starting point." In an effort to "reimagine how businesses interact and communicate," Nextiva is "merging and unifying business communications, team collaboration, customer engagement, and analytics on one modern platform, taking full accountability for the end-to-end customer experience," Gorny said. (Note: The term "team collaboration" in this case refers to teams of agents or individuals servicing customers, rather than workstream messaging and communications.) While Nextiva started out as a VoIP and UCaaS provider, it's moving into the customer engagement space with its new single platform approach. In a separate briefing, the folks from Nextiva told me they consider business communications to be in a state of crisis -- too many tools, channels, and applications that don't all work together. Because of this, companies have a hard time delivering a seamless customer experience. During his NextCon keynote, Gorny expanded on this idea, telling the audience that Nextiva set out to solve a common business problem -- the complexity of customer relationships and customer communication. "Customers want an effortless experience. They want to communicate with organizations through multiple channels. Most importantly, customers want to be remembered. They don't want to start every conversation all over again," Gorny said. Nextiva developed the new NextOS platform from scratch to bring all these pieces together and "solve the crisis in communications." The NextOS platform is intended to solve the communications crisis by providing companies with a real-time view of customers and the ability to track the entire customer journey. Nextiva's aim is to give companies "the knowledge to anticipate customer requests, as well as the tools they need for fulfilling them, Gorny said. By managing all customer communications and engagement points, NextOS provides a real-time view of customers. The platform uses workflow automation and predictive modeling, as well as surveys, artificial intelligence, machine learning, natural language processing, and more to collect information about customers, including preferences and sentiment. The goal is delivering a better understanding of what customers want and how to best serve them. ServiceCRM is currently available to select customers, with general availability expected in the first quarter of 2018. Availability of the other components will follow throughout the year. NextOS is a major departure for Nextiva, but not a surprising one given that Gorny has a history of identifying challenges and coming up with solutions for them. Nextiva has done a great job of differentiating itself in the UCaaS world based on its focus on customer service and meeting customer needs, and I'm happy to see Nextiva break away from the pack and deliver new solutions that solve real business problems. By leveraging Nextiva Office, which includes cloud PBX, UC, conferencing, call queuing, mobility, and more, Nextiva can integrate CRM and customer engagement capabilities to provide a more complete solution for businesses. The challenge will be getting channel partners to embrace this change, as it's a different sale than the traditional UCaaS solution and will require interacting with not just the IT buyer but also the customer service buyer. NextOS also expands the range of Nextiva's competitors from UCaaS providers to CRM vendors such as Zendesk. Gorny is a true innovator and visionary, and has dedicated himself to improving the way people work and communicate. Company executives, including CMO Yaniv Masjedi, have been practically maniacal about providing customers with great technology and experiences, and "amazing service." I expect to see the same dedication as the company focuses on customer service and engagement. Learn more about Unified Communications & Collaboration at Enterprise Connect 2018, March 12 to 15, in Orlando, Fla. Register now using the code NOJITTER to save an additional $200 off the Advance Rate or get a free Expo Plus pass.